If we want to make greater progress in the conservation of wildlife and habitat in the US, we should be thinking about creative solutions around agriculture. 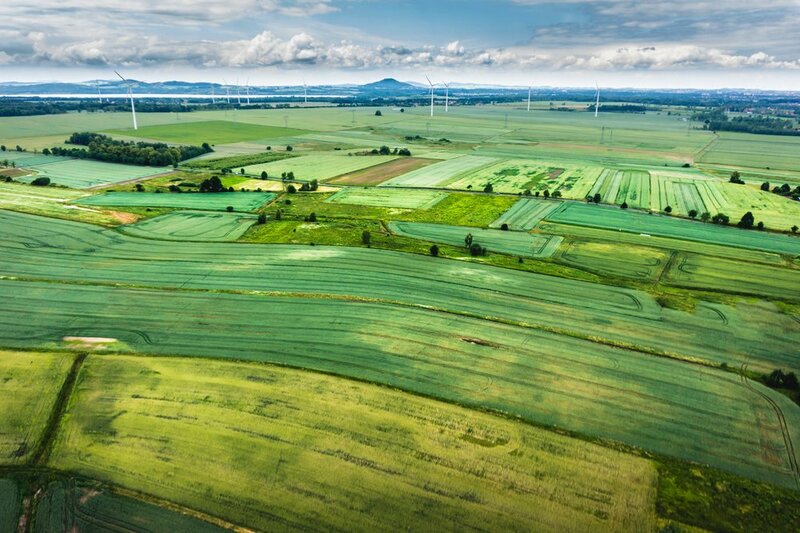 There was a widely shared Bloomberg article a few months ago that presented the breakdown of land use in the United States, based on satellite imagery collected by the US Department of Agriculture (USDA). Cultivated cropland encompasses over one-fifth of the United States. The most stunning statistic: ranch land used for pastured livestock was the largest land use type, taking up 41% of the land in the United States at over 654 million acres. Another 127.4 million acres is used to grow feed for livestock, which falls within the cropland numbers. This massive quantity of land is dotted across every state in the country, currently fragmenting much of the landscape that was historically utilized by native wildlife species. The Bloomberg study also reflected that there is a sizable quantity of forested land, parks and recreational areas that can provide tremendous value to wildlife. I would never take the position that it is not incredibly valuable to protect intact natural landscapes, across all types of habitat. Complete conservation protection through a legal designation is still probably the best way to limit habitat fragmentation. But to allocate thousands of acres for pure conservation is not something the average private landowner can afford to do. And further, we can’t forget that the middle of our country and much of the West was originally a prairie or sagebrush landscape, and accordingly, thousands of species depend on the availability of that type of habitat to thrive, rather than a forested landscape. And thus, the most overlooked opportunity for conservation is the restoration of our agricultural lands. In addition to the fact that so much land is used for agriculture, 60% of the land in the US is privately owned. Unsurprisingly, wildlife doesn’t follow property boundaries (even those with fences). And as a result, I would argue that if we want to achieve meaningful conservation of our native flora and fauna, we need engaged and supportive private landowners, and further, we need conservation-minded farmers and ranchers. To the extent those stakeholders aren’t already acting in the best interest of conservation in the management of their lands, we need to develop creative strategies to incentivize them. This isn’t novel in concept. Aldo Leopold wrote in 1934: “[c]onservation will ultimately boil down to rewarding the private landowner who conserves the public interest.” In practice, however, governments and conservation groups struggle to successfully protect sensitive wildlife resources on private land from development that is inconsistent with conservation goals. Most conservation NGOs have identified private agricultural lands as a priority area, but it doesn’t appear that they’ve figured out how to get it done at scale. State governments just don’t have the resources to “reward the private landowner.” And while USDA’s Farm Bill typically includes some compensation for farmers who practice land stewardship (e.g., the cropland reserve program), it’s not enough to prevent other types of development. Also, the Farm Bill expired this week, so there’s that. Lastly, private investment, including foundation dollars and impact investing, has largely struggled to find an investable structure to incentivize farmers and ranchers to manage lands sustainably. Farmers and ranchers don’t necessarily want more development on their land, but most are struggling to generate a profit by farming or ranching alone. Drought is a major issue, and flooding in other parts of the country, patterns that appear to be worsening with increasing global temperatures. Chemicals to control pests and weeds aren’t cheap, and a few huge companies control access, not just to chemicals, but also seeds. Farmers growing cultivated crops conventionally (using chemical pesticides and herbicides) are barely eking out a few dollars per acre. If a company shows up offering them the royalties from an oil well or a wind turbine, both of which allow them to keep farming most of their land, what other options do they have? Ag isn’t going away. Many would argue that we are going to need more acres to produce enough food for the growing global population, and/or that we will need the sustainable intensification of existing acres. Others would point out that we should eat less beef, which makes sense in theory, given that almost half of our land is dedicated to the production of beef. I’m skeptical, however, that beef production is going to decrease anytime soon. Even if the US consumption decreases, there are growing markets internationally. The good news is that it is possible to manage working landscapes to provide habitat value for wildlife and grow food simultaneously, and even to mitigate climate change at the same time. Reframing how we think about agriculture, as a resource for wildlife instead of a liability, and how we can use creative financial structures to support that shift, presents a fantastic opportunity to exponentially multiply the available suitable habitat for many species. My next post will focus on how you do this: the creative strategies focused around agriculture that could provide significant conservation benefits.